We all dream about having a wonderful life, a beautiful life where every thing is smooth sailing and pleasant,our days filled with blissfulness and joy. A life filled with wonderful relationships, which is packed with lots of love and it should be like living in a paradise but sooner or later some one pours a bucket of water and yells “GET UP DEAR”!! Wake up to reality. Yes the reality is different and the beautiful term “There they lived happily ever after is always missing…” but by following some rules we can at least end some of the misery that we have thrown on ourselves, yes no body throws dirt on us but ourselves.. In the road of life others may join you or be your best companion but the journey from the start to the end can only be traveled by you and you alone. This the fundamental truth so learn to trust yourself more and your guts.You are the master of your journey and the captain of your ship. No matter what ever problems you face in life be it anything just dig deep inside and you will find the key to life is just trusting yourself and carrying forward. Life is all about balance, living a truly wonderful life is maintaining equilibrium in all areas of life if the weight is more on one side the other side topples easily. In the flow chart Man starts his journey towards money, during that journey he compromises his health, then to recuperate his lost health he spends his money. In order to have a better future he foregoes his present beautiful life which can never be bought back again, lost is lost. Then for name and fame forgets his children and friendships which has been a real part of his life. He must understand that certain things even if god willing cannot be bought back again and he has to understand the time machine is still not invented and only exists with Science fiction movies. And alas the Old age has come and time has flown very fast….many die with still music in their life. So understand that Health, Family,Hobbies,Relaxation,Love and joy are part of ones life just as proteins,carbs,vitamins and essential minerals are required for a complete growth and make a good diet. 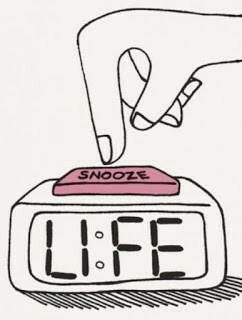 Almost all of us suffer from the snooze button addiction in our life. I feel very sad to indicate that this is the most ugliest of all bad habits in our life. When we press the snooze button the first time we tell our brain that I am the servant of my brain, the second and the third time we are slaves to our brain and one must understand that our mind is a good servant but a terrible master and for a really successful life this is first habit one must forego. It takes great courage to forgive….In all the golden rules of Life i would regard this as the most important and the fundamental requisite of a well lived life. Lots of us go through severe depressions in life without knowing the real medicine of our cure. Somewhere down the line of our life we have been caught up with hatred and malice. Where the same thoughts often keep repeating again and again and we are pushed in to all forms of depressions and ill health, most of that is related to the un-willingness to forgive. Sometimes we need to forgive others and many times ourselves also. Just remove that yoke away from you and see the real difference. Practicing forgiveness takes time and real courage. I know its way too difficult but try closing your eyes..take a couple of deep breaths now don’t think of anything. Just close your eyes,now imagine the person whom you want to forgive(this is the most difficult part) do it, you are getting angry but its OK for now. Imagine looking straight at their eyes and tell them you forgive them five times and imagining them repeating the same to you. Do this everyday twice and see the difference.I know its difficult but you are stronger than you think!!! Meditation is one of the many ways that have helped me in changing my attitude towards life and my environment. I even did not believe it to be true but when i have put in to practice i find that i have become more calm and less restless. The big problem is that now there are too many types of meditation techniques and a simple googling the term can make us mad. I have tried many forms like closing my eyes and focusing on the breath, listening to bi-urinal beats then self hypnotic meditation but my favorite is the 6 phase mediation by Mr.Vishen Lakhiani. The meditation technique is very simple and you can click the You tube link to understand better. Originally published at www.vinodsblogs.com on March 4, 2018.